michonne. pic. Wallpaper and background images in the Michonne club tagged: michonne. This Michonne photo might contain портрет, выстрел в голову, близком расстоянии, макро, and крупным планом. 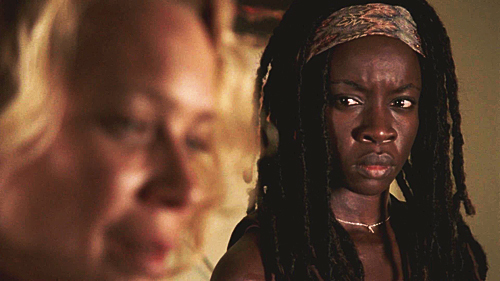 That's exactly the look I'd be giving Andrea too.